Our fuzzy mystery seeds from last week were from a creosote bush, Larrea tridentata. It probably have been easier to recognize the seed capsules if I had shown them on the plant, like in the photograph above. 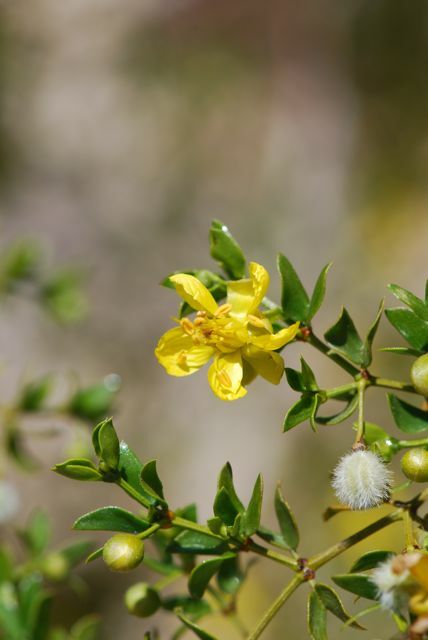 Creosote bushes are common shrubs in low deserts throughout the Southwest. When people first move to the desert, they often comment on the musty or "creosote" smell that coincides with summer rains. That odor is given off by the leaves of the creosote bush. Right now the plants are covered with bright green leaves, vibrant yellow flowers and seed capsules. Later on, particularly if there is a drought, the leaves will be smaller, darker and even tougher to conserve moisture. In the desert survival game, creosote bushes are clear winners. 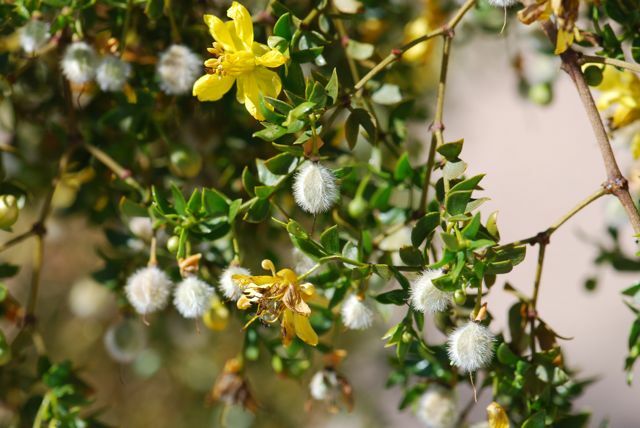 Creosote bushes are known to prevent other plants from growing around them. Apparently the roots of the bushes are so good at absorbing water that surrounding soil doesn't have enough moisture for other plants to grow. The leaves have a coating that slows down water evaporation, and in times of severe drought the bushes will drop their leaves and even some branches. 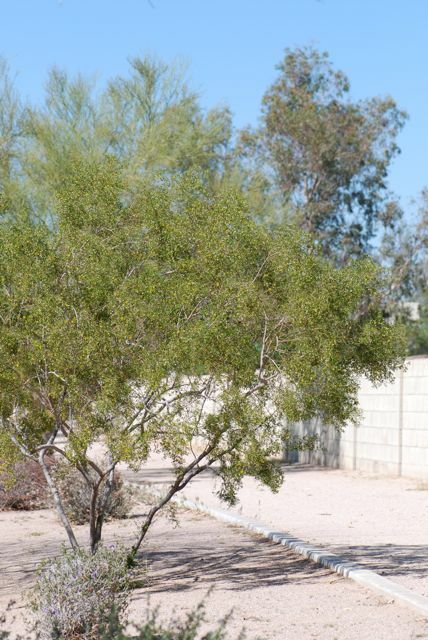 These water-conserving techniques may allow creosote bushes to go without water for up to two years. Although we always associate the desert with cacti, particularly saguaros, here in the low desert the creosote actually is the toughest plant around. It is the "last plant standing" when conditions are bad. What do you think of creosote bushes?